At Christmas, my favorite part of opening presents was tackling the stocking. Buried deep within was surprise after surprise of …well, mostly trinkets, but hey, I love lots of things in miniature. This week’s holiday giveaway has the perfect miniature gifts to fit inside a stocking or to sneak inside your pockets when you go see whatever holiday blockbuster is showing in theaters (unless you planned on seeing the Interview). 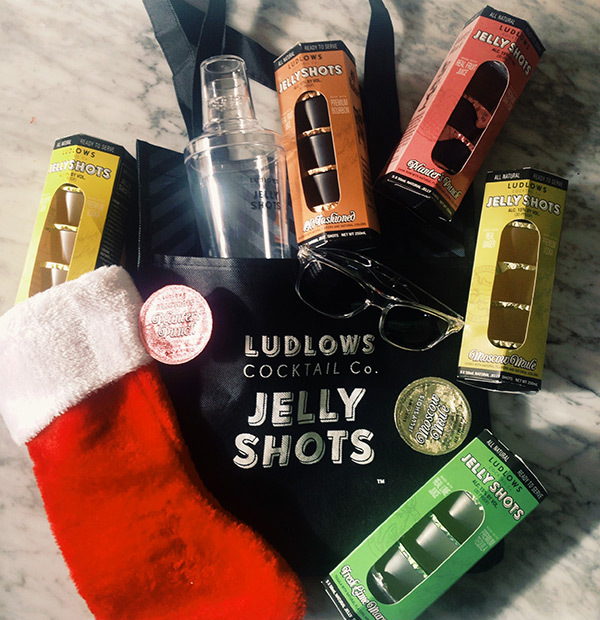 Ludlow’s Craft Cocktail Jelly Shots are generously giving one of you a stocking full of every flavor of jelly shots they make PLUS a pair of Ludlows sunglasses, a shaker, tattoos and a tote bag! EVERYTHING FITS IN A STOCKING! If you’re looking for a different take on craft cocktails, look no further than Ludlows; these little guys are amazing! Enter below and get up to 12 entries to win. Open to US residents only. Giveaway ends at 11:59pm PST December 25th, 2014. Please see terms and conditions below. For more information on Ludlows, please visit them at ludlowscocktails.com. Good Luck! Fresh Lime Margarita is calling my name. I would love to try the moscow mule jello shot! ok no really I’d like them all! i think the margarita sounds great. I would love to try the Fresh Lime Margarita. I’m curious about that meyer lemon drop up there! 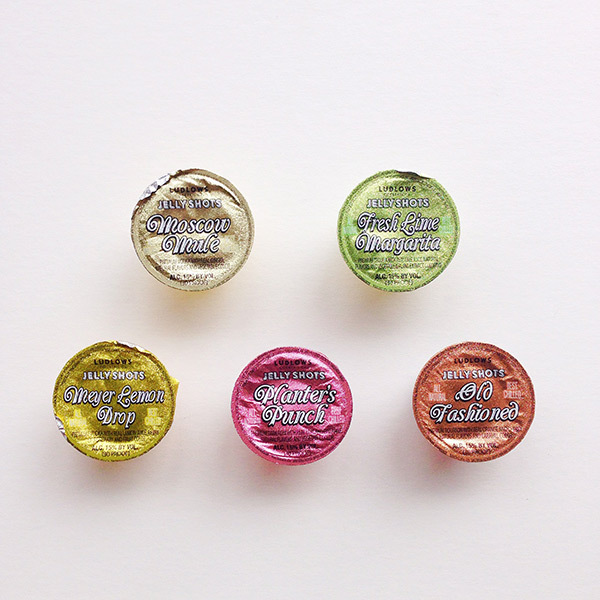 I’d like to see an old fashioned jelly shot. Sophisticated, yet fun. they all sound great! And would be great little new years party favors. I cannot decide between the Meyer Lemon Drop and the Fresh Lime Margarita. Perhaps I should have both, one after the other? It’s been a particularly rough day and I’m truly wanting a nice adult beverage.